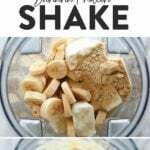 This Healthy Banana Protein Shake is packed with a short list of real ingredients and blended together to perfection! 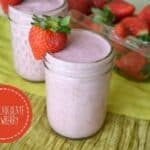 Boasting 16 g of protein per serving and oh so flavorful, this protein shake recipe will fuel your body post-workout or or as a sweet treat. Enjoy! That’s right. 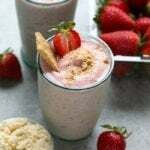 A healthy protein shake that actually tastes creamy and delicious. AND that doesn’t pack any ingredients you can’t pronounce?! You’re in the right place. 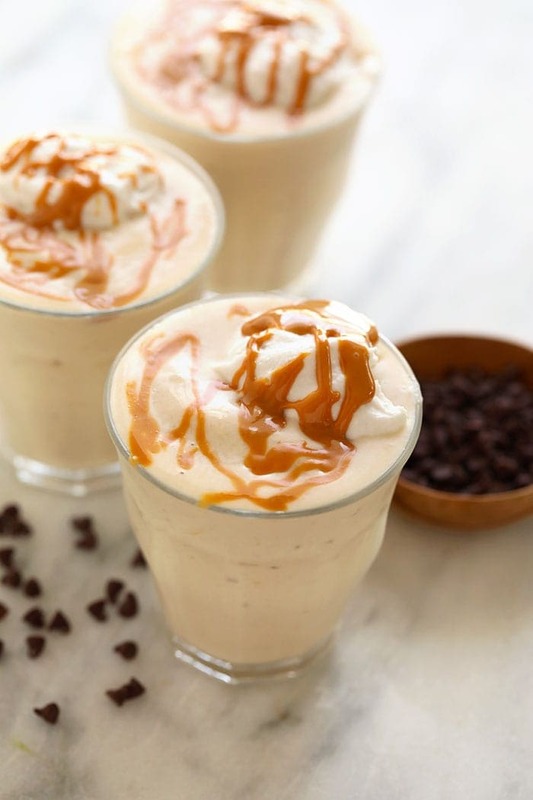 This banana shake is calling your name. 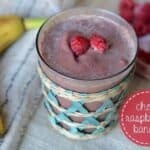 Bananas a staple when it comes to making healthy smoothies and shakes, and this protein shake recipe is no exception! If this will be your first time freezing sliced nanners, check out this post on how to freeze bananas and an easy step-by-step tutorial on how to slice bananas and save them in the freezer for later. We used Garden of Life Raw Organic Protein, but feel free to use your vanilla protein powder of choice. 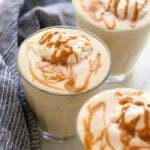 Both plant-based and whey protein powders will work for this healthy banana shake recipe. Any milk will work for this recipe! We used unsweetened almond milk, but feel free to use whatever milk you prefer or what you have on hand. 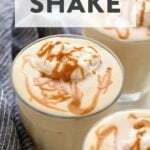 Just a dash of vanilla extract is enough to give this healthy banana protein shake recipe a touch of vanilla sweetness without being overpowering. Our secret (or not so secret anymore!) ingredient in this shake is FROZEN Greek yogurt cubes. It seriously gives this protein shake the consistency you typically get from adding ice cream to a shake. We like to freeze our Greek yogurt into an ice cube tray ahead of time, and them keep the cubes in Stasher bags in the freezer to have on hand whenever the protein shake mood strikes. This recipe could not be easier to make; you’ll be sipping on your healthy banana protein shake in no time. 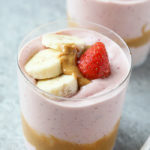 Simply place all your ingredients (once your bananas and Greek yogurt cubes are frozen) in your blender and blend until smooth. 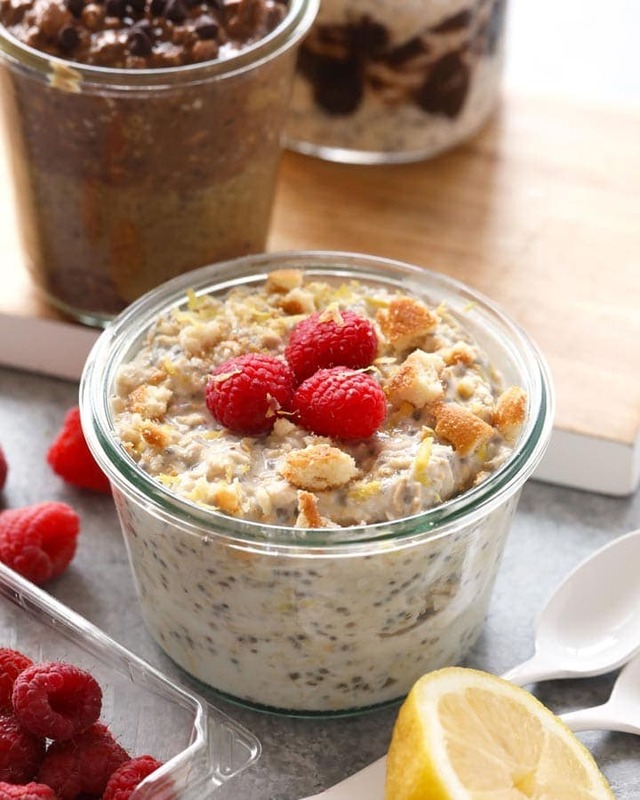 Serve this protein shake with your favorite toppings. 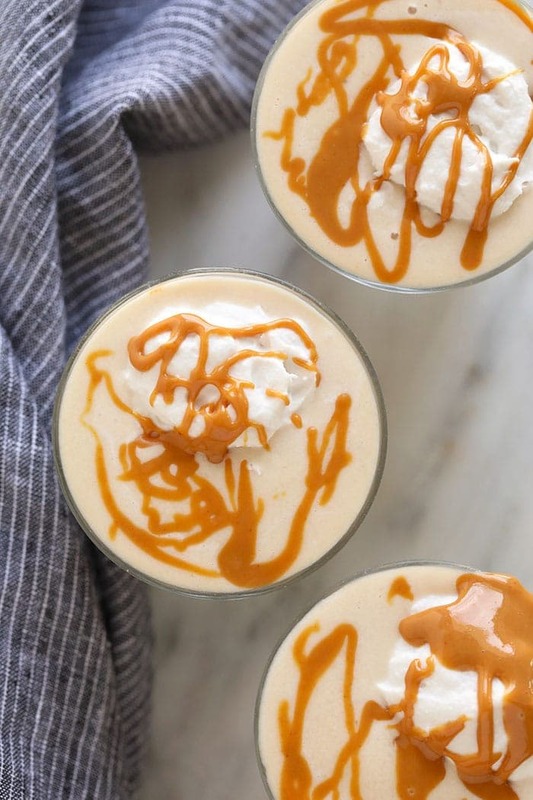 We drizzled ours with drippy peanut butter, and added a dollop of whipped coconut milk to the top, which we’d highlyyy recommend. All you need to do is put a whole can of coconut milk in the freezer, and once it’s chilled, remove the can and scoop out JUST the solidified coconut milk at the top of the can. 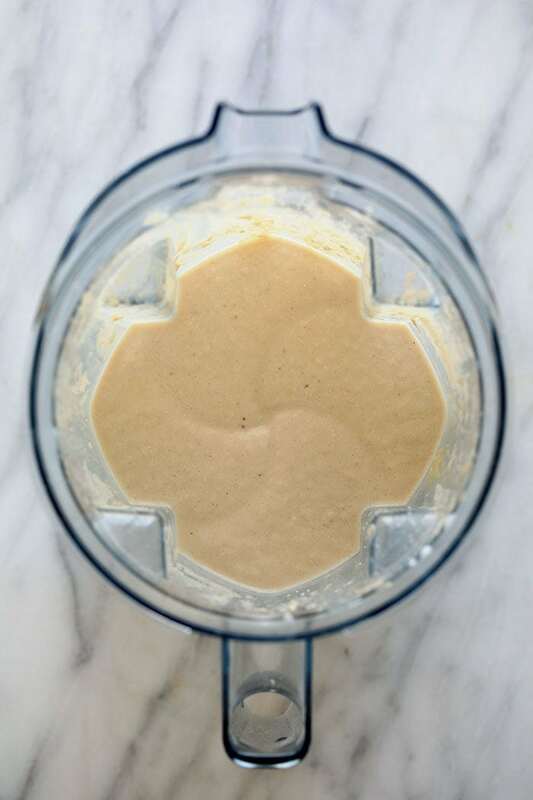 Whip until smooth and airy with your hand mixer. 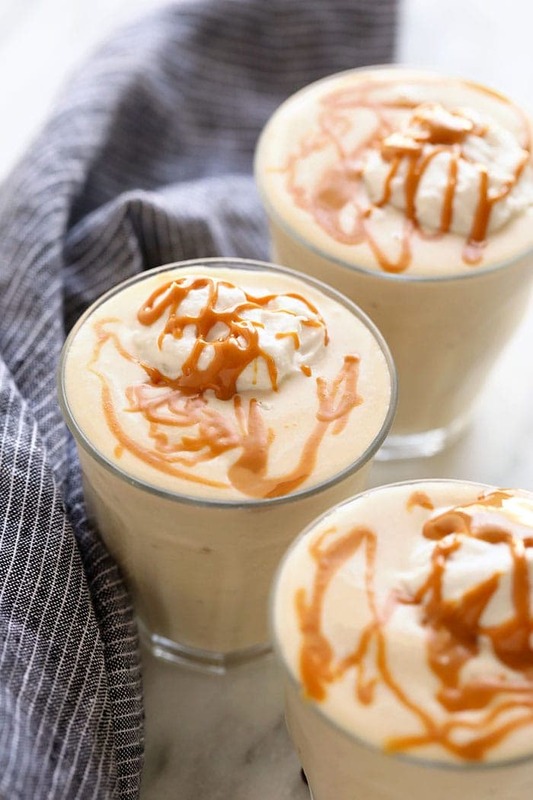 Feel free to add a dash of maple or honey to give this whip a little sweetness if you so choose. Dollop away! 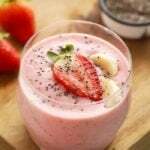 What Protein Powder is Best for Healthy Shake Recipes? Eeeeverybody has their opinion on protein powder. We talk a lot about our favorite protein powders in this Guide to the Best Protein Powder. 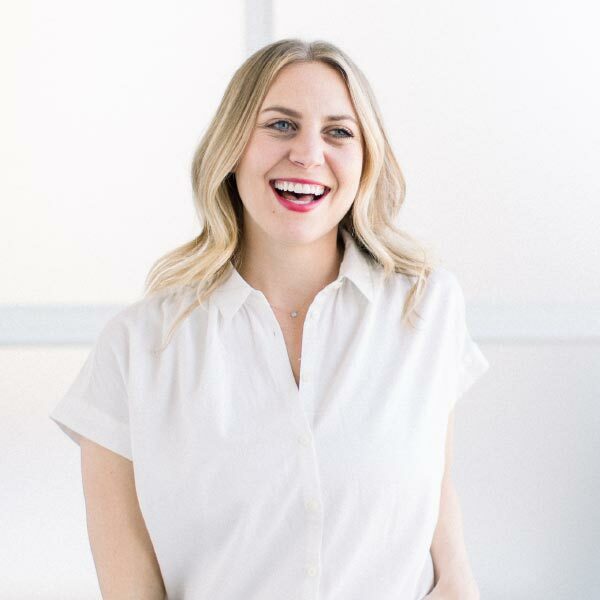 However, taste buds, dietary restrictions, and definitions of “clean eating” are so different for everyone! Personally, we love SFH Pure Whey Vanilla Protein Powder for whey protein and Garden of Life Raw Organic Vanilla Protein Powder for our vegan protein option. 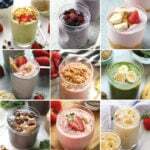 They taste great in smoothies and shakes and both have clean ingredient labels. That being said, any vanilla protein powder will work for this smoothie. 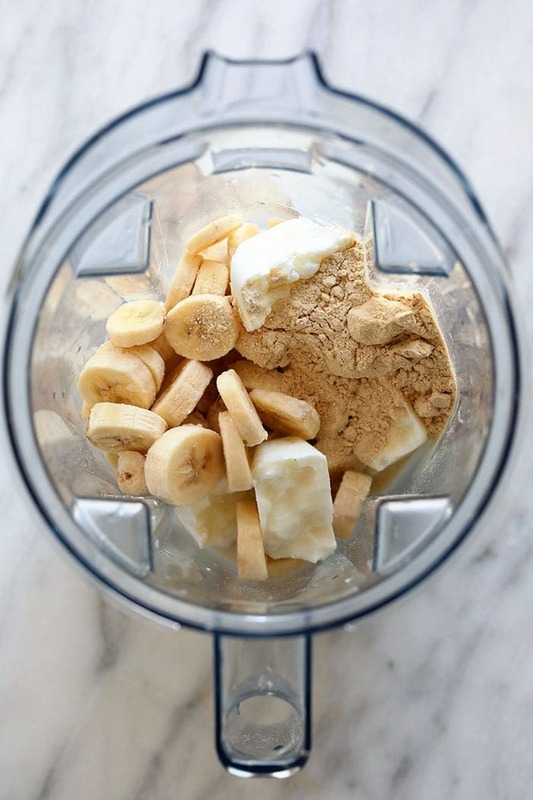 You do you and use your favorite protein in this healthy banana protein shake! 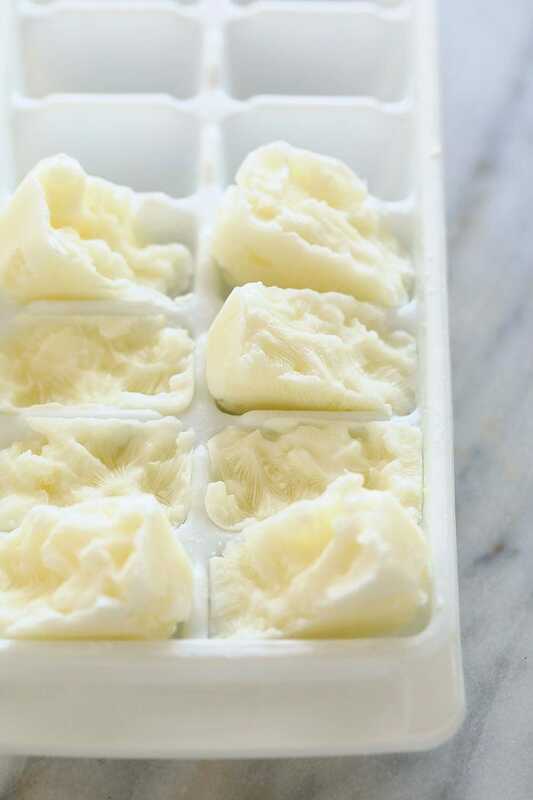 First, freeze ¾ cup nonfat Greek Yogurt in an ice cube tray. 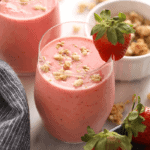 Once the Greek yogurt has fully frozen, place all ingredients for healthy banana shake into a high-speed blender. Blend until smooth and serve with your favorite toppings. Depending on how thick you like your shakes, option to add more milk by the tablespoon until desired thickness is reached. Nutrition does not include drizzled peanut butter or whipped coconut cream toppings.